A few weeks ago, Marvel released a cryptic teaser for something called "Spidergeddon." Today, they've revealed a little bit more about the project. 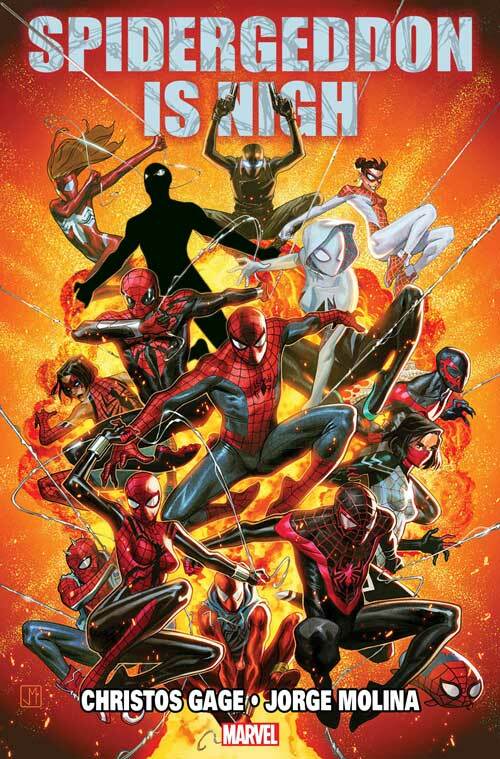 While there still aren't any plot details, at least we have an idea of who's behind the story (writer Christos Gage and artist Jorge Molina), and we've gotten a good look at a lot of Spider types. There's the classic Spider-Man, Miles, Spider-Gwen, Spidey 2099, Spider-Girl, and a... Tsum Tsum? I mean, at least they're going all out. And look, I have a true affection for Scarlet Spider and his dope sleeveless hoodie, so I'm already on board. Check back for more details as we hear them.